The madrigal, that most polished form of secular choral music, first emerged in Italy in the 1530s, supplanting a rather more unsophisticated repertoire of secular songs. Italian madrigal composers were soon vying with on another to express the meaning of the text as fully as possible through their music. Most madrigals spoke of love and mythology, reflecting the most popular themes of Renaissance culture. Our collection comprises of 29 madrigals by 29 madrigal composers, including many of the most significant Italian musicians of the time such as Giovanni Gabrieli, Felice Anerio and Giovanni Pierluigi da Palestrina. 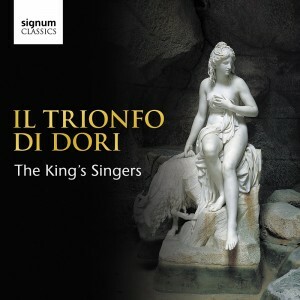 Read more about Il Trionfo di Dori in our Projects section.